Steve "Scoop" Williams is known around the area as one of the premiere criminal defense lawyers in the State of Georgia. As the former elected District Attorney, Steve has tried nearly 400 civil and criminal jury trials to verdict in both State and Federal Courts, and enjoys a reputation for thoroughness in his preparation and aggressiveness in his presentation of cases to juries. He is an AV Preeminent rated attorney who has practiced law since 1976, and represents people who have suffered catastrophic personal injuries, families who have lost loved ones through wrongful death, and those people who have been targeted for criminal prosecution. In the area of personal injury, Steve has handled many car wreck cases as well as a number of premise liability issues, many of which have resulted in settlements of more than $100,000.00 and wrongful death cases in the excess of $1,000,000.00. 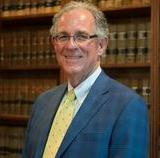 Steve has been lead defense counsel in criminal cases as small as traffic tickets and as large as capital murder, after leaving the DA's office on January 1, 1985. A graduate of the University of Georgia (B.B.A. in 1973 and J.D. in 1976), Steve has been a lawyer in Dalton, Georgia since 1977. First as an Assistant DA, he was then appointed District Attorney by the Governor to fill a vacancy created when Charles A. Pannell Jr. became Superior Court Judge. Following Steve's appointment he ran for and served a full term as DA. He then left office and began practicing law with the McCamy Law Firm where presently serves as Managing Partner. Steve has been very active in community, civic, and church affairs, and has served on a number of boards and committees as well as having also been elected to the Dalton Board of Education where he served as Chairman for eight years. Steve's term on the Board of Education ends December 31, 2013. Steve also serves as City Attorney for the City of Chatsworth, Georgia.